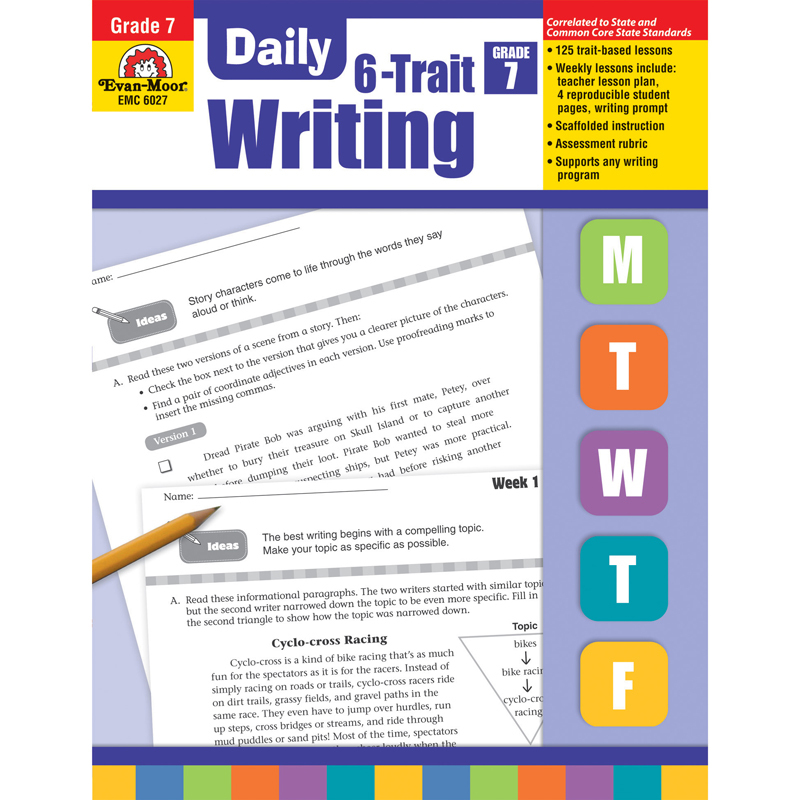 Daily 6-Trait Writing gives your seventh graders scaffolded, focused writing practice. Each of the 25 weekly units provides trait-based writing activities that cover the essential traits of strong writing: ideas, organization, word choice, sentence fluency, voice, and conventions. The weekly units present a writing skill on Day 1, and writing activities progress in difficulty until students apply what they've learned to a writing prompt on Day 5.